After making the initial decision to explore your ancestry and genetic origins, you are faced with a multitude of nuances, separating one ancestry DNA testing company from the next. GPS Origins and 23andMe are both excellent choices for the task at hand, but one will certainly come out on top once you identify your specific needs and expectations. Their services, although high-quality and professional, differ in small but important aspects, even though they seemingly do the same thing. 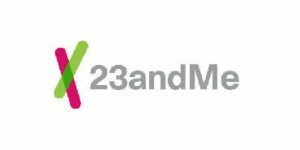 Our comparison will help you spot those differences between GPS Origins and 23andMe, allowing you to make an optimal and fully personalized choice. GPS Origins is an ancestry DNA test developed by DDC to accurately pinpoint the exact originator of your genetic strain. Every DNA sample is processed twice using top-tier robotics technology. I have used a few DNA testing kits and I have done my family tree. This site gave me inaccurate information. Without a doubt it is off. My father is 100 percent Italian and it did not read any Italian in my DNA. The other tests did. I do not recommend this test. I got my report much faster than with other similar services and the report pretty much matches what I already found out. I was hoping to see a site that could indicate the locations of my living and deceased relatives, but that’s not a thing apparently. I was pleasantly surprised when my results showed separate percentages for my English and Scottish ancestry. It also pinpointed to an exact village where my ancestors with different backgrounds met for the first time, as well as their migration paths. Excellent service and a very informative report. I don't know how this could get anything above one star. This technology supposedly "proved" that Ashkenazi Jews originated in Northeast Turkey, yet I'm 100% Ashkenazi and my test showed that I'm 50% Palestinian, 50% Spanish. While this is "true" in the sense that my genetic makeup is roughly halfway between the Levant and SW Europe, it obviously does not reflect my literal ancestry, which is much more complex. The generic descriptions it gave me told me that one of my "parent" ancestors had migrated to the Levant during the 14th-15th centuries from Egypt, while my other "parent" ancestors had migrated from Southern France to Spain between 1,000 and 2,,000 years ago. It gave me very random and ultimately meaningless %s of different "ancestry" that didn't make sense with my actual ancestry or even with the regional migrations they gave me. This might be useful for someone with very homogeneous background,, I honestly can't say, but it was almost meaningless for me.